Add this dropdown pivoting LED retrofit spotlight to your recessed lighting system or replace an existing inefficient design. Spend less on electricity by replacing inefficient Halogen or incandescent recessed lights with this brushed nickel finish LED recessed trim. Highlight art, plants or indoor fountains, direct light to specific areas or to an interesting architectural feature. Pivoting head drops from flush with ceiling to nearly perpendicular for even greater adjustment. Use in new construction, or in remodels with an existing 4" housing. Comparable to a 50 watt Halogen but consumes only 7 watts of electricity. LED pivoting spotlight recessed new construction or retrofit trim. We have new art being hung and we wanted a spot light. We do have can lights right there so it appears this retrofit will be easy and the perfect way to convert the flush can light to a art light. Hopefully I am right. Dimmable with most standard household dimmers. 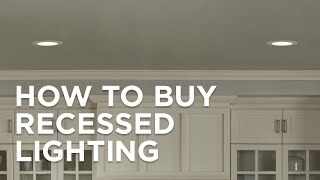 Which dimmers wont work with the 7 watt LED spot? BEST ANSWER: I have included a compatible dimmer. Great flexibility, and really easy to install. Would use as a wall spot though, not for direct down lighting.